The definition of the word network is “to connect or operate with a network.” In a business sense, the word means to “interact with other people to exchange information and develop contacts, especially to further one’s career or business.” Since many introverts despise the very thought of making small talk, meeting strangers, spending time in large groups and other networking must-dos, the introverted entrepreneur may be challenged. Don’t worry, introvert-preneur, help is here. The following 5 tips will help even the most introverted entrepreneur or businessperson excel at networking, making it a powerful skill rather than necessary exercise to be despised and avoided. 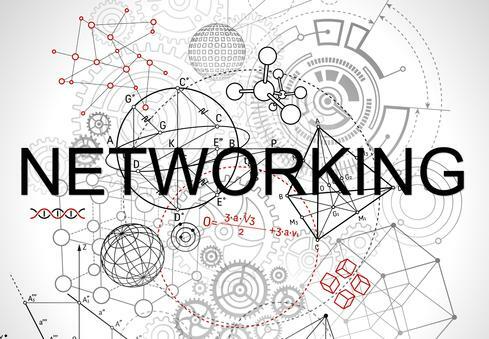 1 – Remind Yourself That Everyone at the Networking Event Can’t Wait to Meet You This is the beauty of networking! You don’t have to do a lot of hard work. Everyone is there to meet you. They can’t wait to see what you have to offer them, that can benefit your business and theirs. You shouldn’t feel insecure or self-conscious as if you are hanging out at a bar or a party. Simply by being there, other people are telling you they want to hear what you have to say. 2 – Steer Conversations by Asking A Lot Of Questions Most people feel comfortable talking about themselves, extroverts or introverts. Make that easy for others, and you will not have to do much talking. Ask a question early on in the meet and greet process, and you will control the conversation with your natural ability to listen rather than talk. 3 – Create an Exit Strategy Before you attend a networking event, tell yourself you will leave at a specific time. Allow yourself to be the most extroverted person in the room for 20 or 30 or 60 minutes, and then head home for some alone time to recharge your introverted batteries. 4 – Meet and Greet Online First Introverts have a much easier time interacting with people online than off, in many cases. When you reach out to fellow networking attendees before an event online, you take a lot of pressure off a face-to-face meeting. This can create a friendship that means going to a networking event with someone you feel comfortable with. 5 – Plan and Prepare… And Then Prepare Some More Spend some alone time thinking about what you will talk about when you meet someone. Choose 2 or 3 topics you feel very comfortable with discussing, those that will also help you meet your networking needs. Prepare what you are going to say and how to say it, because practice makes perfect. How much do you really know? Probably more than you think!